Job searching is hard enough when you’re looking for something local, but when you need to relocate, it gets even tougher. Employers aren’t usually crazy about pursuing candidates who are halfway across the country and would have to fly in for an interview, not to mention allowing the new hire the time to move to the area and get settled in. It’s much easier on the employer to find people who are already local and won’t have to uproot their entire lives to take the job. 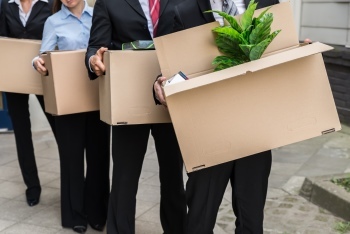 On the other hand, maybe you’re moving for reasons unrelated to your career – to be closer to family or just because you’ve always wanted to live in that city – and in the case, it can be extremely difficult to find a job. Management recruiters in Milwaukee could be a great option for you in this case. In areas where lots of people want to live, such as Los Angeles, New York, or Chicago, employers tend to automatically dismiss any candidates who aren’t local. They don’t want the headache of hiring someone from outside the area who might end up falling through. There are always exceptions to this, though, and it could depend on how specialized your field is. For example, if you’re a retail manager, companies can find all the candidates they need right there in town. On the other hand, if you manage a team of scientists who specialize in disease research, the field will be much narrower and you stand a better chance of being seriously considered. However, when you’re relocating to a smaller city, it’s not quite as difficult to be noticed. Management recruiters in Milwaukee aren’t necessarily averse to considering candidates from out of state – you just need to be honest about it up front. It also helps if you already have a firm moving date rather than waiting until you have a job to start the relocation process. This shows management recruiters in Milwaukee that you’re serious about moving to Wisconsin and you’re not just sending resumes out to apply for every job you can find, whether they’re near you or not. You should also explain the reason for your move in your cover letter to give the recruiting team another reason to believe that you’re a serious candidate. The bottom line is that no matter what your reason is for moving to Wisconsin, management recruiters in Milwaukee could be your best bet to find a new job here. Recruitment firms always have their ear to the ground and know all the latest and greatest job openings in the area. Plus, since recruiters often deal with people who are moving into the area from out of state, they have extensive resources to help you with your relocation. Here at the Lawler Group, we know all about moving your career to a new city. Not only can we help you find a great new job opportunity, but we can also help you figure out the moving process and anticipate what your new living situation will be like. To get started with the top management recruiters in Milwaukee, call (262) 241-1600 or email tim@lawlergroup.com.